Build an impenetrable wall from your stacks of gloomy realists, gouge out your eyes and sear your fingertips, for I present to you a collection of stories in which the author has had the gall, the coarseness, the utter audacity to have fun while writing. 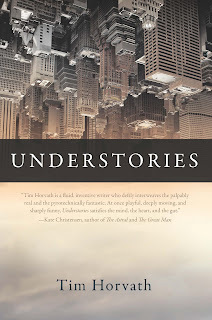 The pieces that comprise Tim Horvath’s Understoriesare split roughly into two modes: unconnected, standard length short stories that cover a spectrum of styles from hard realism to the totally surreal, and a series of shorter, more unusual ‘Urban Planning Case Studies’. These case studies stand firmly on their own while also acting as palate cleansers between the longer pieces. The Case Studies all revolve around a group of fictional cities which each have a bizarre theme or trait that affects their inhabitants. One city is entirely composed of shifting substances. Another’s inhabitants are obsessed with the culinary world. Then there is the peculiar case of ‘the-city-which-is-in-denial-of-being-a-city’ and its struggles in coming to terms with its identity. 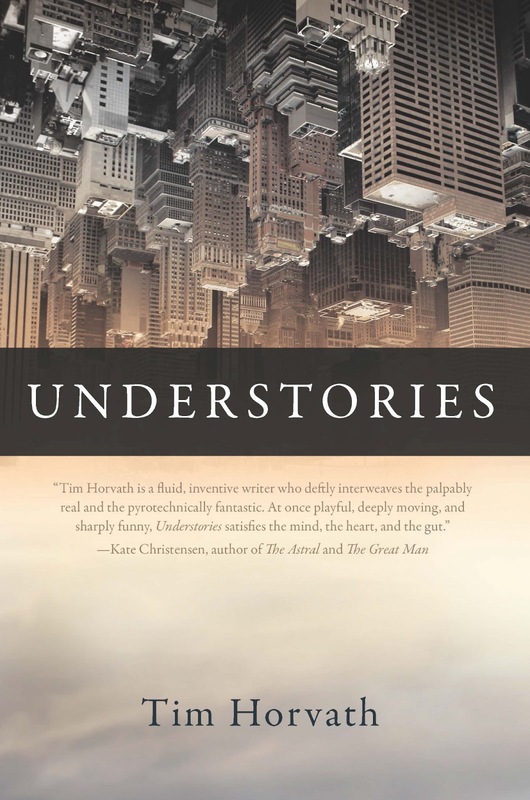 Horvath connects the case study cities within the various stories to create a sort of pocket universe within the book. As far as the more conventional stories go it seems that in some cases Horvath devised a ‘single interesting idea’ then wrote the stories out from there. This can be an attractive and perilous premise for many writers, but Horvath successfully fleshes out the stories and pulls each off with grace time and again. Humor is one of Horvath’s strong suits and it comes usually in the dryer, lighter, more absurd kind. He attempts to evoke drama or nostalgia at points with varying success, though when he nails it (as in the titular ‘The Understory’) it certainly shines. Silly names, absurd situations accepted as fact, and unusually intelligent (sometimes brilliant) characters abound. It’s hard to overemphasize how broad Horvath’s voice ranges. This is a talented demonstration of versatility and agility on his part. Dialogue generally flows easily except during the more hysterical realist stories where the ubiquitous word play and peppiness can come off as cloying. Throughout, the stories’ recurring themes include meditations on family (especially the parent-child relationship), nature (of the earthly and of the astronomical sort), and media’s effects on the consumer. Influences rest solidly in the vein of Calvino, Borges, Gass and a certain tragically late author who went by three names. If you enjoy the work of any of these authors you will undoubtedly find Horvath to be making new and imaginative strides in this field of writing. —is exquisite with its mix of the familiar and unusual, coming off at once as certainly impossible and yet totally relatable. ‘Urban Planning: Case Study Seven’ is the most hefty out of the ‘Case Studies’ and is a fully developed story in its own right. It examines the city of Palmoa and its obsession with cinema. Cinema is so integral to this city that some of the city’s inhabitants experience ‘cinaddiction’ and suffer from withdrawal symptoms severe enough that projectionists are required to maintain a constant stream of movies lest their customers fall into horrific shock. The narrator’s best friend is a (gloriously named) ‘anticinemite’ and the member of an underground revolutionary group steeped in appropriated communist rhetoric which seeks to wrest the city from the grasp of cinema. Within this setup lies a troubled love story. Horvath writes this section with an excellent eye for subtlety and great attention to detail. Reviewer bio: Sam Moss lives in the Pacific Northwest. He is currently working on a novel called Basic Analysis. He writes for the zine NADA at nadadadamagazine.blogspot.comand his blog can be found at perfidiousscript.blogspot.com.